"Looking a pretty girl better than being gay…"
This Berlusconi said during a Motorcycle Fair. I am sorry to come back for the third consecutive post on another gaffe by Italian premier, but I am convinced that ignoring it would be even worse. I am not among those who think that attacking Berlusconi makes him even stronger in the eyes of his supporters. I think that the latter, to see the low level which they are having voted him, need to better face that level, literally touching it. In other words, they have to understand with greater clarity what kind of person they put in the most important chair in the country. However, as I wrote before, the issue of gay is serious. I bet that many Italian macho males, homophobic in their DNA, perfectly agree with Silvio’s shameful insult to homosexuals. Once upon a time there was an old gay. He was terrified that this was discovered and did everything to hide it. 1. His ex wife left the old man accusing him of being a sexually sick person. 2. Constantly flaunted his alleged manhood. 3. Never failed to show his passion for the opposite gender. 4. He particularly cared about the clothes. 5. His face was always made-up. 6. Distressed by the passing years, he often resorted to plastic surgery. 7. He had no official partner. 8. The ally which he was more related to was someone who said to have it hard (ce l'abbiamo duro). 9. He often tried to convince the others to prefer everything to being gay. 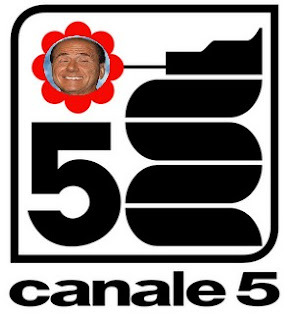 The News: Berlusconi: looking pretty girls better than being gay.